The number of students is continually growing in many European cities, Denmark is no exception. In order to keep up with the rising number of new applicants, the city of Copenhagen is looking into options to be able to house the 24.000 student applicants without housing every year. Bjarke Ingels from architecture firm BIG designed Urban Rigger after entrepreneur Kim Loudrop came up with the idea. Urban Rigger is a complex of stacked reclaimed shipping containers which have been transformed into 15 living spaces that have been situated around an internal courtyard. The structure sits in the harbor of Copenhagen and due to the use of solar power, hydro source heating and low-energy pumps, it is completely carbon neutral. 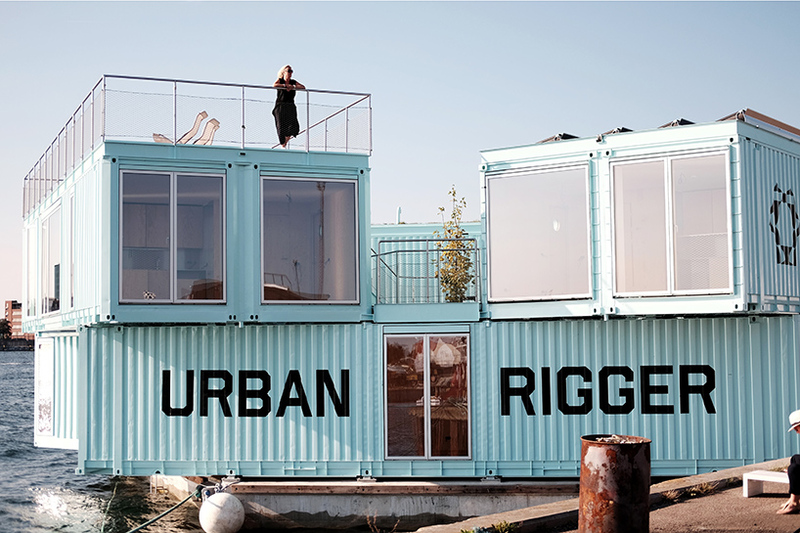 According to its architect, Urban Rigger can be replicated in other harbor cities with limited space for urban development. At present several requests have been received by Urban Rigger from North America and there are plans to create a unit in Sweden which means that more floating containers may be constructed in other harbor cities around the world.